Mozilla launches Firefox Focus browser for Android, blocks annoying ads and protects your privacy. Last year, Mozilla introduced Firefox Focus, a new browser for the iPhone and iPad, designed to be fast, simple and always private. 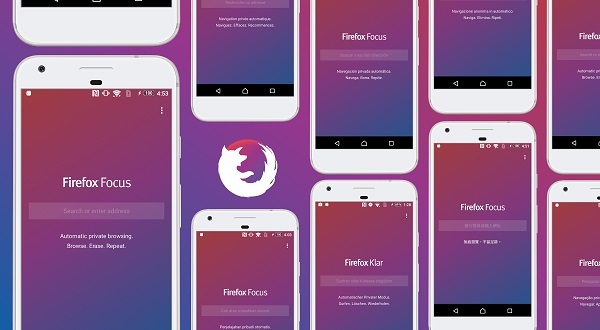 Mozilla today announced the launch of Firefox Focus mobile app for Android. Like the iPhone and iPad version, the Android app is free of tabs and other visual clutter, and erasing your sessions is as easy as a simple tap. Firefox Focus allows you to browse the web without being followed by tracking ads which are notoriously known for slowing down your mobile experience. Focus blocks these ad trackers because they not only track your behavior without your knowledge, they also slow down the web on your mobile device. Easily erase your history, passwords and cookies, so you won't get followed by things like unwanted ads. Since Focus support both custom tabs and the ability to disable the ad blocking as needed, it works great with apps like Facebook when you just want to read an article without being tracked. + Ad tracker counter - For the curious, there's a counter to list the number of ads that are blocked per site while using the app. + Disable tracker blocker - For sites that are not loading correctly, you can disable the tracker blocker to quickly take care of it and get back to where you've left off. + Notification reminder - When Focus is running in the background, it will remind you through a notification and you can easily tap to erase your browsing history.